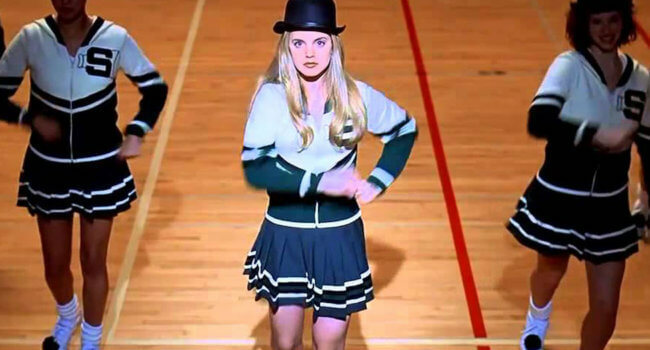 In American Beauty, Angela Hayes (Mena Suvari) is a high school cheerleader. She is the object of infatuation from her friend’s dad Lester Burnham, who is experiencing a midlife crisis. In his fantasy, she reveals what she’s got underneath her cheerleading uniform, and it’s a whole lot of roes petals.